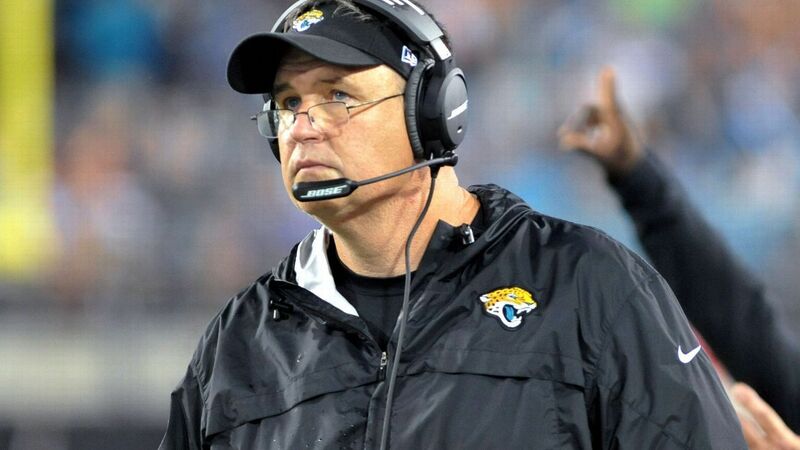 The Jacksonville Jaguars have started a new, ridiculous tactic to avoid blackouts and pad their tenuous bottom line. This morning, an email was sent through DoubleTakeDeals.com—a local coupon company similar to Groupon or Living Social. The email offered a coupon certificate (called "Teal Deals") at a 75 percent discount. Among other offers, the certificate features a "Free Firehouse Sub." These certificates aren't a new idea. Local youth athletic teams have been using them for years in order to cover the cost for uniforms or travel. Some of the more expensive versions like "Entertainment" even contain deals for minor league baseball games. At first, the email makes it sound like this is all for charity: "Purchase A Teal Deals Book And Send Someone Special To A Jaguars Game." Free stuff! Helping a charity! Teal Deals Certificates have previously only been available to Jaguars season ticket owners, however, for a limited time you can get over $3,000 worth of Teal Deals gift certificates for just $50. Your purchase will be used to donate Jaguars tickets to local charities - helping to fill EverBank Field on game day! Wait, the Jaguars are giving tickets away anyway to avoid blackout and I'm supposed to subsidize that? Really? The only charity case here is Wayne Weaver! In 2009, the team had both home preseason games blacked out and all but one regular season game. The rumor mill picked up that the Jaguars may be a team on the move to Los Angeles (though, the Chargers, Vikings and Raiders seem more likely at the moment). In 2010, tarps became the buzz word as the national media began to notice the gimmick installed by Wayne Weaver in 2006 to reduce seating capacity by almost 10,000 seats. In fact, Weaver and the city have been at odds since the team's inception as Weaver has always wanted less seating, while the city wants more capacity for special events like college bowl games. This season started with a bang as the team's first contest was sold out. This week, the Jaguars play the New Orleans Saints at home and have, once again, struggled to sell tickets. As of Thursday, 1,805 tickets remained and an extension was granted to avoid the blackout. The blackout was lifted on Friday, but (as Pro Football Talk notes) it isn't known whether they were sold or given away. With deals like this coupon certificate, it is hard to assume things are nearly as rosy as the Jaguars front office would have us believe. Blackouts are bad for business and the team would give these seats away anyway in order to make sure their local sponsors don't abandon ship. In essence, this "deal" is asking you to subsidize a professional sports team, one that is already taking too much of your money for tickets, food, drink and souvenirs. This professional sports team is asking you to help pad their bottom line and cover their costs like a city tee-ball league. A professional sports team should be better than this. So, while it is exciting that Jaguars-Saints will be televised this weekend and one should hope that the stigma of blackouts is eventually lifted from the Jaguars forever, tactics like this make one wonder if it ever will be. Of course, the only real solution is putting a more watchable product on the field. Eventually the Jacksonville Jaguars should figure that out. Michael Schottey is an NFL Associate Editor for Bleacher Report. A member of the Pro Football Writers of America, he has professionally covered the Minnesota Vikings and the Detroit Lions, as well as NFL events like the scouting combine and the Senior Bowl. Follow him on Twitter.